Gifts fund unbudgeted items and programs and help to cover the costs of needs in specific areas of school life. Such gifts include restricted gifts, membership in and gifts to parent organizations, programs like Breakthrough Atlanta, and fundraising events. 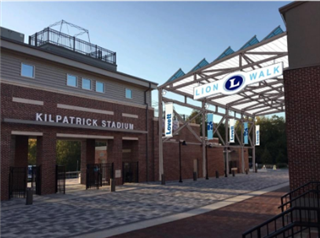 As we look to the future, Lovett has set the ambitious goal to have the first zero net energy (ZNE) high school stadium facility in the U.S. To make this vision a reality please consider making a tax deductible pledge or gift to the “Friday Night Lights” campaign before June 30, 2019. For more information or ways to give please contact Elizabeth Pearce at Elizabeth.Pearce@Lovett.org or 404-262-3032 ext. 1277. Over the last few years The Lovett School has consciously made efforts to become a more sustainable school. Improvements that have been made to campus include: the 2013 senior project to create a solar-powered golf cart, the Baseball/Softball Complex, built in 2010, which features all LED lights and two cisterns that store collected rainwater used for field irrigation, renovations to Railey Field to include recycled materials and all LED lights, in 2015, every gym on campus was refitted with LED lights creating a 60% reduction in energy use and costs, and last year, the Green Team planted enough trees at Siempre Verde to compensate for energy used by Lovett buses to all Athletics away events. 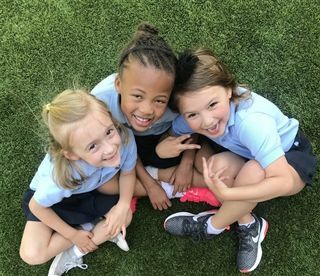 The New Parent Campaign is part of Lovett's year-long effort to educate new parents by providing valuable information and encouraging participation in important facets of school life. The New Parent Campaign takes place March through May each year and is staffed by volunteers who are new parents themselves. As part of the New Parent Campaign, new parents are invited to attend one of several Head of School's Tables. Join Lovett Head of School Meredyth Cole and other faculty and staff members to learn about Lovett's strategic mission --programs, faculty/staff support, finances, facilities, and endowment. Emphasis on True Blue Giving. As the second part of the New Parent Campaign, new parents are invited to attend one of several Special Program Education Events. Join Lovett faculty and staff members and New Parent Campaign volunteers to learn about Lovett's special programming -- the Academic Resource Center, Breakthrough Atlanta, Siempre Verde, and Sustainability. Emphasis on Special Program Giving.